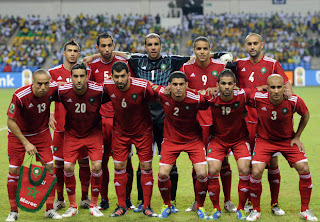 Morocco will play against Cape Verde Islands in Group A match to be held at Moses Mabhida Stadium in Durban on January 23, 2013. Both the teams’ first game ended in a goalless draw against Angola and South Africa respectively. Morocco’s key player Younes Belhanda can be included in the squad in order to strengthen the team attack. Cape Verde’s Toni Varela and Babanco may remain out of the game due to injuries. While Morocco has won the cup earlier and is a strong contender for the title this year, they are up against confident and strong Cape Verde team who did not let South Africa win their first match of the cup and would like to repeat the same feat against Morocco. 0 Respones to "Morocco to play Cape Verde on Wednesday, January 23, 2013"